I have contemplated on writing this blog for a while. I normally like to blog because it makes me happy, makes me laugh and so far it's been a positive experience. What I will be blogging about tonight will hit home with some and for others you will thank me. For me it will be emotional and I will mostly likely let some fall. It's accomplishment for me. Tomorrow will be our two year anniversary. For so many couples this is barely a milestone in your relationship. For us, this is a lifetime achievement. I have known my husband since 2004. I met him when he came home from Baghdad in April of that year. I was actually out with girlfriends at a club and I was spoken for, with another man. With an engagement ring. And a wedding date. And 20 friends and family paid to go on a cruise and watch me get married in the port of San Juan. I was 22 years old. I owned a house, had a great job, and was in a comfortable relationship. Being 22, was way to young to be engaged (for me), however losing a father and a brother between ages 16-21, getting married was security. It was the only way I knew how to secure a male figure in my life and try to control him through my own fate. I shortly realized that I wasn't marrying who I was supposed to. That same nightclub night, I hit on my "now" husband. Woman were swarming all over him. Man in a uniform at 2 am? Who wouldn't? I told him that he would look just as good in a white t shirt and a pair of khakis. I walked away. I went to leave the club that night, and as I was getting ready to back out of my parking spot, he opened the backseat car door and sat down. He was persistant. He said he wasn't getting out until I gave him my number. I was intrigued. For some reason I felt honored and as a young girl not knowing anything about any relationship other than the one I currently had which was consumed with safety and reliability and 6 years of consistency, this had risk......and my subconscious was ready for risk, as much as I consciously denied it. Call me crazy. Short of the long, I called off my wedding, sold the the house, ended my engagement and moved out. For 5 consecutive years I dated my husband, noncommittally off and on. First off, I didn't know if it was because I had hurt my ex so bad that I didn't want to make someone feel like that again or if secondly, because deep down I knew that I could care too much about him and could lose him. Because of the experiences that I had endured in my life, I became extremely independent. Sometimes, somewhat of a loaner. I tried to care as much as I could but with distance so that I didn't let the unpredictable suffocate me again. We also had some ridiculous ups and downs. On New years eve 2009, I had gone out with friends to celebrate the new year. I called my now husband when I got home that night and asked him to come over. On New years day, I asked him to move in. Naturally because he knew how I was. He laid down some ground rules for me. No going out past a certain time, no not answering my phone etc. He had the right to lay down the law, I was a party girl. I was free and held no real ties to anything that mattered and being lonely felt better than losing. Shortly after we settled in, my fiance at the time, was deployed. Again. I didn't know Josh before his first deployment. I had always dated guys that I could walk all over. Josh was different. Integrity. Consistency. Reliably. Devotion. Those are the things that he is. Piss him off, he'll get you back double. Love him and respect him, he'll give it back triple. He proposed to me on a Newport Beach in Rhode Island in April. He left the state in May. He left the country in July. 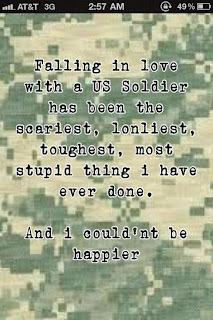 I've never been an army girlfriend. 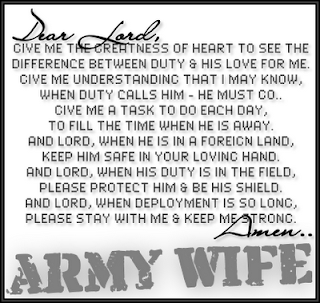 My family had never been an army family. The next 400 days rocked my world. I was able to plan our entire wedding while he was gone. Time felt like forever, but when it was over it had actually passed quickly.We used skype, so we were able to talk and see each other frequently. His job in the military is in the transportation unit. He drives tractor trailers full of fuel from base to base in Iraq. To me, this meant IED's and bomb on wheels. I can recall one night that I will never forget. Josh and I were skyping and the mortar alarms went off. Their base was getting mortared at least 3-4 times a week. This particular time, Josh ran out of his trailer with his laptop still on, still skyping me and him and his men jumped in a bunker. It was pitch black and the only glow was from his laptop. The glow produced just enough light to see about a dozen men and the petrified white's of their eyes. My whole life was put on hold, waiting, for this one person to come home so that I could pick up where we left off. Only it wasn't that easy. He come home on Memorial day 2010. I remember the day I went to pick him up from the airport. Only 4 soldiers got off the plane that morning. Two of us with welcome home signs.The other 2, I don't even recall seeing their families. My stomach was nauseous. My eyes were holding back tears. I don't know if it was because he was coming home or because I was so afraid of how comfortable I had become while he was gone, living the way we were. I drove him to our new home. The one that he had only seen pictures of. The one that I bought, on my own, while he was deployed. I can honestly make this statement. The next 4 months were a roller coaster ride and if my wedding wasn't already in place, I wouldn't be married right now. 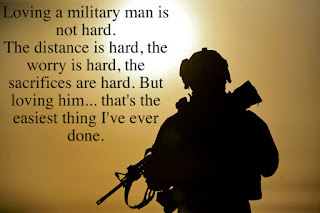 I cannot imagine what a US Soldier endures while they are deployed. I can assure you that when they come home from a combat mission, they will be different. The words I will use to describe mine.... disconnected, scared, moments of rage, violent and lastly and the most prominent to us was, Lost. My close friends and family know the details of my soldier's adaption to real life after a deployment of 400 days. 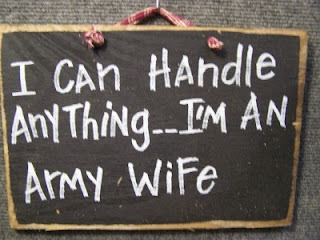 My online support groups, Veteran Caregiver and Not Alone both know what my struggles have been. I can honestly tell you that with out the support of these two groups, my family and God, we would not have made it where we are today. The growth that has emerged from our relationship in the last two years, is a result of patience, understanding, and respecting of one another"s boundaries. Realizing that the things that we had both endured over the last year were not the result of one another's intentional actions towards each other. There were times that throwing in the towel, calling it a day and just saying eff this, would have seemed so much easier. But, we made it. With the support of our family, friends and one another, we jumped the hurdle. We BOTH made it out alive. The man I married is an American. He's a redneck. He's a truck driver. He came from a small town. He makes me feel safe. He's my husband. He's a US Soldier and he's our Hero. The US Soldier is the warrior but the people that he leaves behind are the support. We are the the fuel that keeps them going. Happy Anniversary Josh! Thank you for all you do. Thank you for all you've done. And thank you for what lies ahead! Getting us where we are now has been worth every second of every minute of every hour of everyday and more! such a raw and honest post! love it.. happy anniversary! I am sitting here with tears in my eyes and I hardly *know* you! I want to give you the biggest hug right now... for what you've both been through and your strength to get through it. This is such an important post and I'm glad you wrote it, I'm sure it wasn't easy... I'm guessing some tears fell at your computer while you were writing! So many people, myself included, just think that the hard part is done once they come home, we don't realize the lasting struggles families face. I'm really, really glad you posted this. Happy Anniversary indeed, to both of you! wow Jess, this is beautifully written. Make you print this off so you'll always have it. No one can imagine what each marriage goes through but you have one amazing story!! Happy Anniversary you two! Thanks for sharing your story. I'm sure everything you went through just made you a stronger couple! happy anniversay!! This was great to read. You are such a strong person and though we haven't been close since Highschool, I already knew how strong you were/are. Jess I love this story!!! I had no idea the background of your relationship! 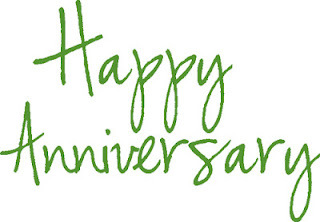 Congrats to you guys on your anniversary and for sticking it out through the hard times. I know it's quite different, but with Skye being a cop we've had a similar struggle with time together and crazy schedules. I really love this - you captured the essence of a military marriage in times like these. Deployment really does change a person and it's so hard for our soldiers to come back in to the "normal" world and for spouses to adjust to the new person we bring back in to our homes. You're awesome for reaching out for help. You're BOTH awesome for patience and for letting God and love do their jobs. Happy Anniversary! I love the way you guys met... Happy Anniversary! This really is a beautiful post. 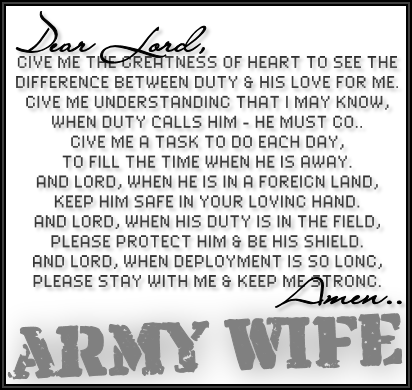 We went through a lot after my husband's first deployment and like you it would have been easier just to throw in the towel. But I'm really glad we made it through. Thank you very sharing your story. I can't imagine what you must have been feeling those 400 days, but it gave me chills and tears reading this post. 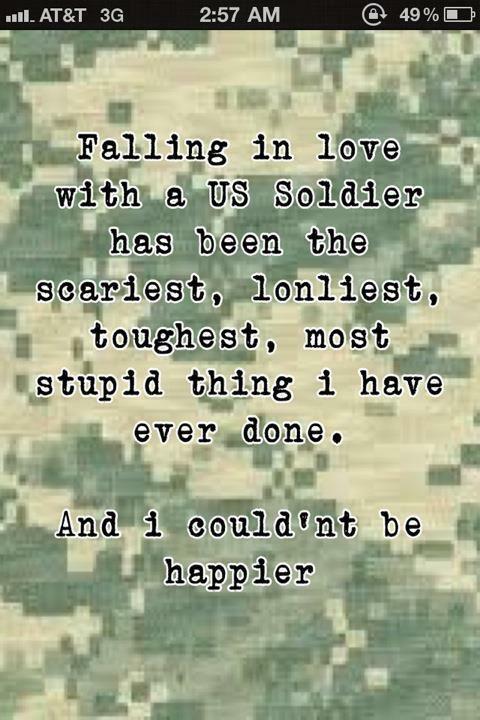 I know several other young families and couples who have gone through a scary deployment like that, and I'm so thankful for the strong people that you are and that your military counterparts are. Happy anniversary a day late! Happy anniversary! What a moving post. My hub and I also spent the first 15 months of our marriage apart due to delpoyment (and dated long distance before that) so the second year of marriage was definitely an interesting one! It is so strong because of it and now we are marries six years and never take a day for granted. Thanks for sharing your story!